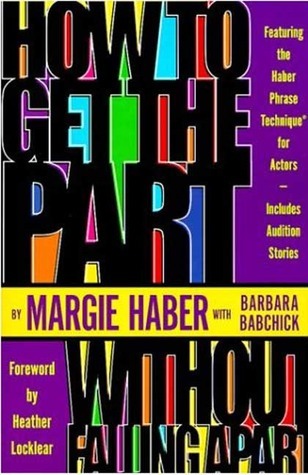 Acting Up Radio – Margie Haber Hollywood’s top audition coach! & Adam Lieblein of Breakdown Services! Margie Haber is known as Hollywood’s top audition coach. This this is how she began her career. Margie’s philosophy empowers actors to create strong ‘characters’ for both auditions and booked roles. And whether that is in TV, film or stage. Its about finding your own power in the lives you create. Based on Margie Haber’s 35 years of experience as an actress and teacher. How To Get The Part Without Falling Apart promises to take away the “three p’s” – pain, panic, and performance anxiety. It takes away from anxiety from the cold- reading process. While giving back the “big P,” POWER, to the actor. And it is filled with real-life (and often hilarious) audition stories from her clients. And some of the nation’s leading actors, with comments and anecdotes from over fifty top industry professionals. Also the book is divided into four sections, each dealing with a different aspect of auditioning. Here are some great links to Margie Haber’s articles! Adam Lieblein of Breakdown Services. Join Adam Lieblein as he examines the five forms of talent representation available in Los Angeles, and how an actor can make the best use of each of them. He will discuss the best ways to utilize Actors Access as the primary format for creating an online portfolio that will be the most productive for use by agents, managers, and self-submissions. Time permitting, he will also share some of the other most useful web-based resources for actors in Los Angeles. Adam Lieblein is a graduate of the UCLA School of Theatre Film and Television, and spent eight years as a producer of films, commercials and television projects until 1993 when he opened a talent agency. Adam was the president of Acme Talent & Literary for sixteen years, and together with his eighteen agents represented actors for film, television, commercials, print modeling and voiceover work, and writers for film and novels. At the end of 2008, Acme’s several divisions in LA and NY were sold to other agencies, and Adam returned to the business of producing and teaching. In 2015, after teaching the Business of Acting at UCLA for 20 years, Adam received the Outstanding Instructor of the Year Award from the Entertainment Studies division at UCLA Extension. From 2011 to 2017, Adam served as a Lead Project Manager for Casting Networks International, and has recently become the Director of Business Development for Breakdown Services and Actors Access.